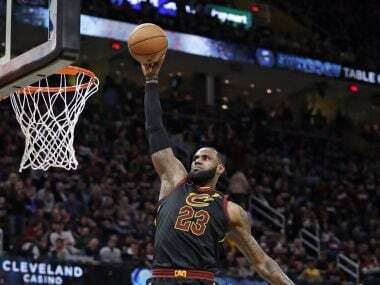 Los Angeles: LeBron James crystallised his reputation as one of the best playoff performers in NBA history on Wednesday as the Cleveland Cavaliers rebounded from a game one rout with a 100-97 win over the Indiana Pacers. 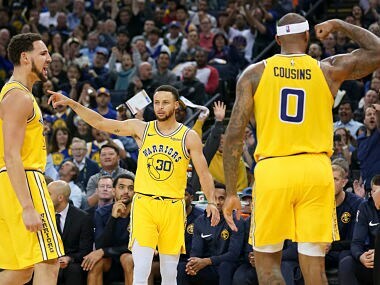 James scored 20 of his 46 points in the opening quarter, getting off to a torrid start in which he single-handedly outscored the Pacers 13-0 and 16-1 to begin game two of the first round Eastern Conference series. "My mentality was we got to go back to Indiana tied 1-1," James said. "We hadn't scored like we are accustomed to doing so far so I wanted to see if I had a good hand to start. "My guys kept coming to me and I was able to make a few buckets." In the late game, the Houston Rockets crushed the Minnesota Timberwolves 102-82 to seize a 2-0 series lead. Chris Paul had 27 points as the Rockets drained 16 three pointers compared to just five threes for the Timberwolves. Nemanja Bjelica led the Timberwolves with 16 points. Cleveland bounced back from an embarrassing 98-80 loss at home in game one and the mighty James set the tone early Wednesday, giving credence to coach Tyronn Lue's pre-game prediction that if he showed up, the Cavs would level the series. He did exactly that, shooting 17 of 24 field goals and delivering 12 rebounds and five assists as the Cleveland had to survive a late fourth-quarter charge by the Pacers. "He did a great job of just being aggressive and attacking the basket for our team. LeBron did a great job setting the tone offensively," Lue said. The 33-year-old James also helped put the game away with two clutch free throws with 18 seconds left to make it 99-92. Pacers star Victor Oladipo made a 26 foot jumper at the buzzer to close out the scoring. Oladipo finished with a team high 22 points in the loss. The series now shifts to Indiana for game three on Friday. James has never lost a first round series and being down 0-1 marked another first for James, whose teams have always managed to come out firing on all cylinders before. Game one was so one-sided the Cavs recorded the second-fewest points of their season. But these are not normal times for Cleveland as the highs and lows have become more acute, leaving fans wondering which version will show up on any given night. 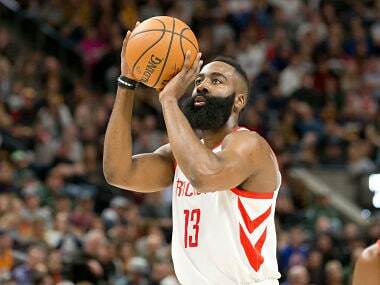 James' consistency has kept it somewhat together as he enjoyed one of his best seasons, averaging 29.5 points, 9.8 rebounds and 10.0 assists during the regular season. 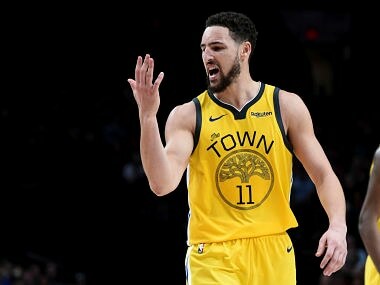 Even in the game one loss, he still managed a triple double with 24 points, 10 boards and 12 assists. Lue shook up his starting lineup for game two, going with Kyle Korver and J.R. Smith over Jeff Green and Rodney Hood. Green didn't score in the opener and Hood only started because Korver had an injured right foot. Kevin Love scored 15 points but with 3:43 left he hurt his left hand, the same one he broke earlier in the season. Lue said the injury is not serious. "Little jammed thumb but he is fine. 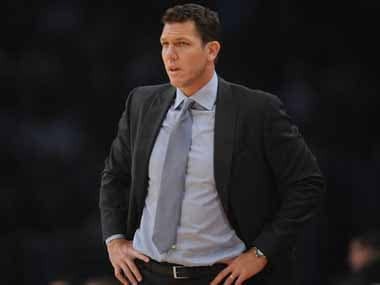 Ready to go for game three," Lue said. Korver tallied 12 points as he outworked the Pacers at both ends of the floor. All Korver's points came on three point shots. "Kyle does all the little things it takes to win," Lue said. In Oklahoma City, Derrick Favors finished with 20 points and 16 rebounds while Donovan Mitchell scored 28 points as the Utah Jazz toppled the Thunder 102-95 to even their first round series 1-1.